The Duel is the 13th season of the MTV reality game show, The Challenge. The season is directly subsequent to Fresh Meat. 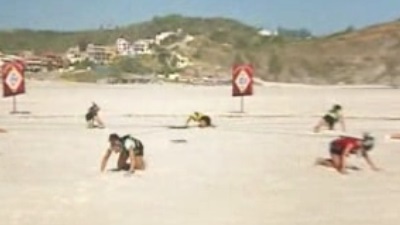 The Duel took place in Búzios, Brazil, with former cast members from MTV series The Real World and Road Rules competing, along with several cast members from the previous Challenge, Fresh Meat. The host of The Duel was T. J. Lavin. The season differed from previous Challenge seasons in that no teams were assigned, as it was every man and woman for themselves. 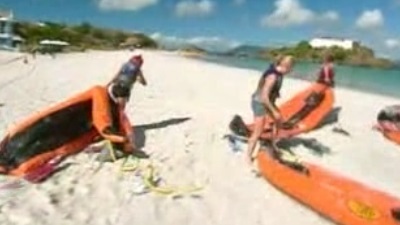 The surviving male and female cast member would win $150,000 each. The season was watched by a total of 83 million viewers. The Duel premiered on October 12, 2006, and concluded on January 18, 2007. This is the first edition of The Duel series, with The Duel II following in 2009. Beth orders up a knuckle sandwich a la Tina. This week on The Duel - When Nehemiah defeats Kenny in the Duel, it leaves a troubled Beth behind. Wes and Derrick put each others strengths to the test when they go head-to-head in The Duel.